Yo! You can’t stop him, may be only death can. 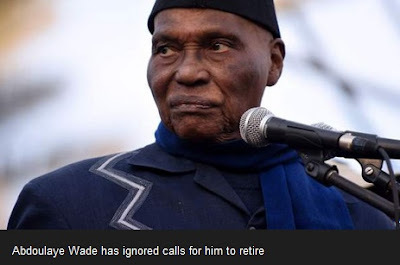 According to BBC, Senegal's former President Abdoulaye Wade, 91, is going to run for parliament in July's elections. He will top the list for the opposition Watu (Save) Senegal coalition, which includes his PDS party. Mr Wade served as president from 2000 to 2012. He lost his bid to have a third term in office in 2012, when he was defeated by Macky Sall. Mr Wade to us seems like a man prepared to WORK all his life. Best of luck!